With Autodesk University around the corner, we cannot wait to head to Las Vegas and spend the week with industry leaders and true innovators. Here is a list of our top 5 things to add to your Autodesk University Schedule. New to 2018, AU is introducing the Connect and Construct Summit! Due to it’s popularity, Autodesk has expanded the Fabrication Forum to be a part of the main Autodesk University activities, and has introduced Connect and Construct on Monday, November 12. 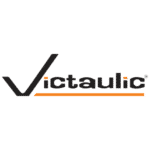 Victaulic is excited to not only be attending but also sponsoring the event, which will highlight how technology and collaboration are impacting the future of construction. Make sure to stop by booth C10 if you’ll be in attendance. This is truly a “can’t miss” at AU 2018. On Tuesday November 13 at 10am, thousands of people will file into a music and light show filled room to listen to Autodesk President and CEO Andrew Anagnost and inspirational guest speakers discuss the future of making things. This is truly where the incredible AU community comes to life! The general session provides insight into Autodesk’s plans for 2019 and the technologies and software that will impact the construction industry. If you are attending AU, set your calendar reminder now, and make sure you get there early to get a front-row seat. Hundreds of exhibitors will be showcasing their cutting-edge technologies and allowing attendees to get hands-on with exciting product and software demos. Whether you’re stopping in for lunch (which is always first rate) or walking the expo for industry insights, make sure to stop by booth B620. We promise you won’t be disappointed. Where like minds come together on topics impacting the industry. Whether you’re interested in speaking with someone about 3D scanning on job sites, or have a conversation about women in the construction industry, stop by the community quad for a meetup. Makers, designers, and industry experts are there to connect and collaborate outside of the classroom. Don’t be shy. We’ll be there too! With all of the classes and learning throughout AU, we are all bound to need a break. When we’re in need of a little respite, we stop by The Hub to relax, play a game, or even conduct a casual meeting. This is a fun space geared toward giving our minds and bodies a break from the learning, and of course, challenge our peers in a game of foosball! Victaulic will be at AU all week sharing our newest product and software innovations. You’ll likely catch us adding these events to our Autodesk University schedules. Whether you’re attending one of Ralph Schoch or Amanda Comunale’s sessions or walking by booth B620 at the expo, we hope to see you there!